Ireland’s oldest city, founded by Norwegian pirates in 914 – recently took a step back in time to its roots when it held its inaugural International Viking Festival and Roadshow over Easter. Taking place over three days, this flagship event in Ireland’s Ancient East marked the 1100th anniversary of the conquest of York, England, by King Reginald of Waterford. With all eyes on the city, the pressure was on for Waterford Council and Waterford Treasures Museums to select the right partners and suppliers to bring this historic moment in time to life. 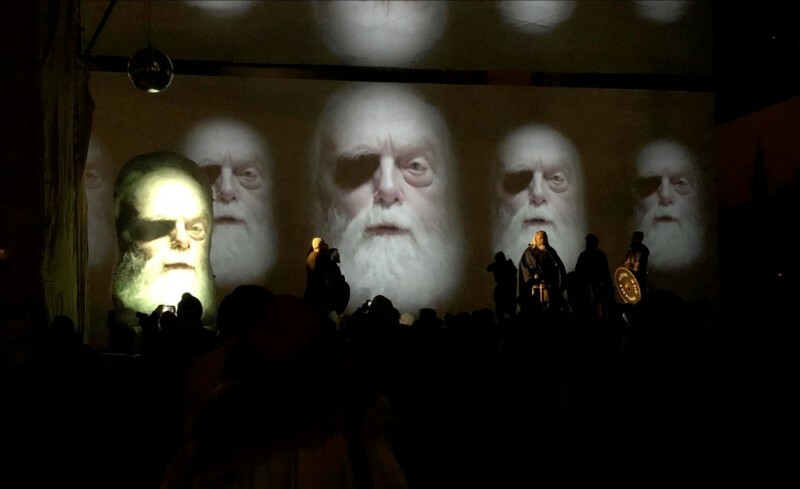 The highlight of the event was a spectacular night-time Viking Roadshow – two 45-minute theatrical performances which took place on the last day in the Apple Market in the centre of the historic city. The specially commissioned theatrical piece by creative director Craig Morrison, set for a live tour in 12 of the most important Viking sites in Europe, was to be the jewel in the crown of the Festival planned by the Council and Museum. A celebration of the cultural and historical impact of the Vikings, Morrison brought together contemporary artists from all over Europe including actors, musicians, dancers and film makers for the visual spectacular on Viking heritage – using modern projection technology in a new and captivating way. The ambitious project was put out to tender and delivery of the Festival and Roadshow were awarded to event and festival management company EveryEvent. John Grubb, managing director of the outfit, recalls how they approached the project. “We needed an exceptional technical and production service provider on board to complement this world-class production – and we chose Corporate Audio Visual Services (CAVS), a trusted partner of ours, to help us deliver. Providing all technical equipment and staff as well as full consultancy and a pre-production service, CAVS had a central role in specifying the equipment which would be up to the rigours of such a high profile event. On the visual side, CAVS’ visual technicians John Parsons and Eoin “Chip” Devit selected two Barco HD 20k Flex and three Barco RLM W12 projectors; CAVS’ sound engineer Trevor Roycroft opted for 15 L-Acoustic Kiva II, eight SB15M, four LA8, one Midas Pro 1 for the audio setup while lighting technician Nigel Lombard selected six Robe BMFl, eight Robe Robin Spiider, six S4 Profiles and 10 CP62 Par Cans for the lighting gear. In order to seamlessly bring all the AV components together, CAVS opted for two AV Stumpfl Wings Engine Stage media servers – allowing for total control and flawless execution of the overall production.